When searching for the perfect party dress, a lot of people tend to go for the flashy, sequin dresses, funky-colored and short, tight-fitting look. They are easy to find, many are a reasonable price and some websites might even come with special shipping dates. 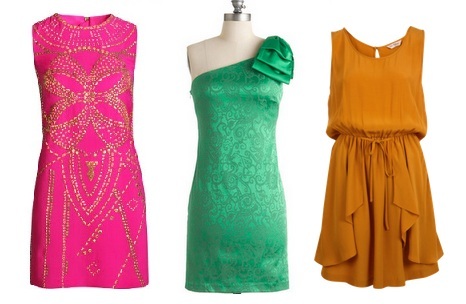 My options when picking a dress for New Years is try something totally different from what you typically wear. For example, if you’re conservative, dare to be different and change that plain baby doll dress to a long leg-split gown. If you only wear dark colors, try something bright or neon. Finding the perfect outfit for the last night of the year can be tricky, but when you see it, you just know it’s the perfect dress to ring in the new year.